We believe tithing is not about money, but about our hearts. Materialism in our world is constantly pulling our hearts away from keeping God first in our lives. By participating in God’s plan of bringing his tithe (literally- tenth) and our offering (anything beyond the tithe) into the storehouse (Malachi 3), we regularly loosen the grip money has on our hearts, and we allow God’s hand to hold us stronger. We take seriously our responsibly to God, to our contributors, and to those counting on our help, to be wise stewards of all the funds entrusted to us. Using our DNA as a guide, and with the direction of our governing board, we do our best to use all funds as designated, however funds could occasionally be allocated for different purposes in an effort to accomplish our mission more effectively. 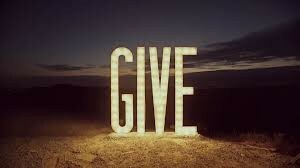 The online giving tool will redirect you to PushPay which is fast, easy, secure and you don’t need an account.